The wise men and women of the past spent years observing and categorizing the subtle changes of nature. Living at a time without emergency medical care, amazon one-day shipping, and convenient stores, it was detrimental to ones livelihood Not to be prepared for the upcoming season. We have been exploring the concepts of seasonal attunement. Using qigong, self-reflection, and tea to bring a deeper awareness to how we are intimately connected to our earth. Nature provides us signs that allude to the transformations of the seasons. The leaves drop, the dew forms, and migratory birds travel south. The amount of daylight is overcome by the period of darkness. All of these signals reveal the withdrawal of Yang energy and the emergence of Yin. We have been blessed in Pittsburgh to have a beautiful and mild fall. Very soon the Frost will be descending! Have you gathered appropriately and prepared for the winter? What is status of your larder? How have you shored up your home, property, and relationships to ensure your success through the winter storms? If you feel anxious about answering these questions ACT QUICKLY! Let go of what is not necessary and prepare for the internal nature of the winter. 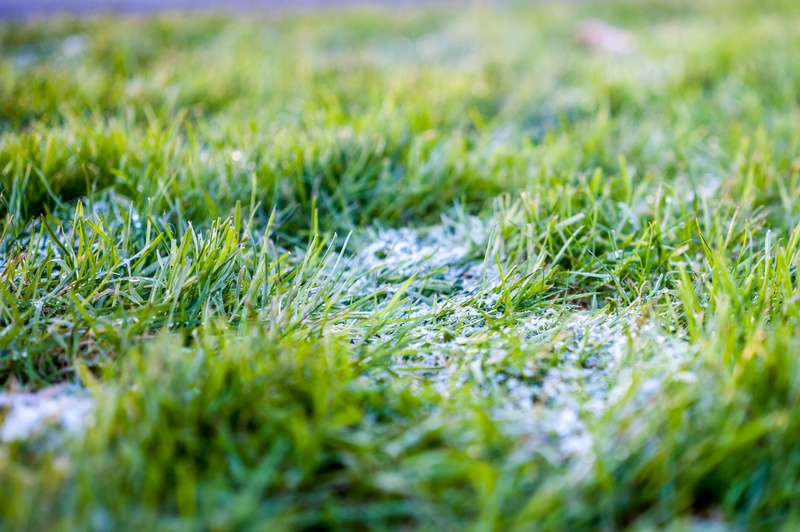 The descending frost is a very strong signal from nature to be ready and prepare for Winter. The fall brings an energetic period of harvest and gathering. This is a peak season of activity. It is common now to feel a low level of anxiety. Hopefully you have been using this extra energy to prepare for the coming season. The Chinese classics state that "Spring allergies and illness are manifest from poor preparation of the Fall". The choices and actions that we take now effect how well we attune to the next season. If you tend to have spring allergies, or frequently get sick in the winter, it is imperative that you prepare yourself now. This is a beautiful time to release that which no longer serves you. This is a time to purify your home, garden, body, and relationships. Prepare to spend the cold Winter months in a clean home, mind, and body. Consciously select the company that you keep close to you in these months. This company extends to our friends, family, belongings, food, Tea, supplies, books, and tools for personal cultivation. The seeds we plant now will be able to germinate over all of the winter months. A rotten apple in the pantry can spoil our entire supply. Choose your Winter company wisely. The Native American Medicine Wheel advises us to embrace the Winter, which is represented by the direction of the North. If we are fully prepared, We will have the power to lean into the storm. Use the power of the South, the warmth and connection drawn from your well organized home and relationships to provide nourishment to preservere through the long, cold winter months. Do not hide behind your possessions or illusions. You are not separated from the changes of the seasons. Just because you can turn up the heat and purchase fresh spring greens from Mexico doesn't mean you have conquered the season. Reflect upon your current actions, call out any irresponsible behaviors, and adjust it now. The descending frost waits for no one. Nature will have its way. Choose your path accordingly.